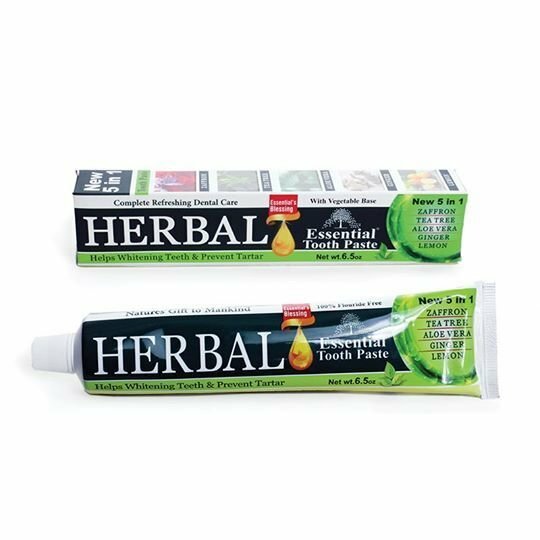 The combination of herbal Essential Toothpaste with Zaffron, Tea Tree, Aloe Vera, Ginger & Lime gives complete natural oral hygiene. Regular use of Herbal Essential Toothpaste helps in whitening the teeth, removes stains, strengthens the enamel & gums. simply its the best for the teeth and gums to keep from germs & stains. Ingredients: Aloe vera extract, oils of zaffron, tea tree, ginger, lemon, basil, etc in toothpaste base.